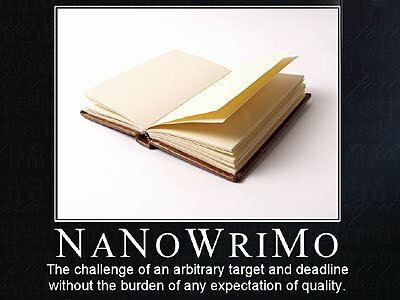 So for those who might think I’ve turned into Dr. Seuss and am going around making up imaginary words (btw, my eggs have never been green), let me explain the madness that is NaNoWriMo. November is National Novel Writing Month (didn’t know that, did you?). 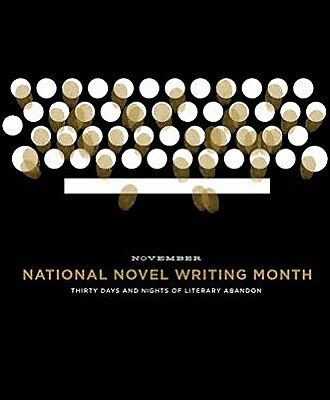 And in honor of this obscure holiday, writers across the country set out to “celebrate” by writing a 50,000-word novel in ONE MONTH. As you may have guessed, one of the requirements for celebrating this “holiday” is to have some sort of mental illness. Obviously, nobody in her right mind would try to write an entire novel in a 30-day period. Yet, every year, thousands of lunatic writers shut themselves into their houses, stop showering, eat only takeout, and attempt to type 50K as fast as their cramped little fingers will let them. What do you get at the end of this self-imposed sickness? Nothing. Okay that’s not true. You get a first draft. And any writer will tell you that’s the hardest part. Sitting down and banging out a book without “writer’s block,” without excuses, without cleaning out your coat closet. Just you and the computer—writing. After you have the first draft you can edit until your heart’s content. Heck, I have a book I’ve been editing/revising/polishing for five years now. But it all has to start with a rough draft. And that’s what NaNoWriMo gives you. The goal is not perfection. Now THAT would be crazy. The goal is to just write, and to give yourself permission to write organically. Because, let’s face it, when you’re writing that quickly you can’t get caught up on the perfect sentence, or the tiniest plot point, or littlest metaphor. So I’m gonna do it. This is my first ever attempt and I have a plot idea, I have an outline so loose it only has 10 lines on it, I have some background research, and come Monday, Nov. 1st, I’m going to chain myself to my desk. Wish me luck! Hopefully, I’ll still have some fingernails left when this is done, if the carpal tunnel doesn’t get me first. This isn’t so much of a rant as it is an encouragement. I will be at the Daily Show’s Rally to Restore Sanity this Saturday, hoping to show America that there are rational people who vote regularly. And just because we don’t scream the loudest, doesn’t mean we don’t exist. And just because we don’t agree with you, doesn’t mean we think you’re Hitler (or a witch in DE’s case). Hope you’ll come out and support the cause too! See you on the news!